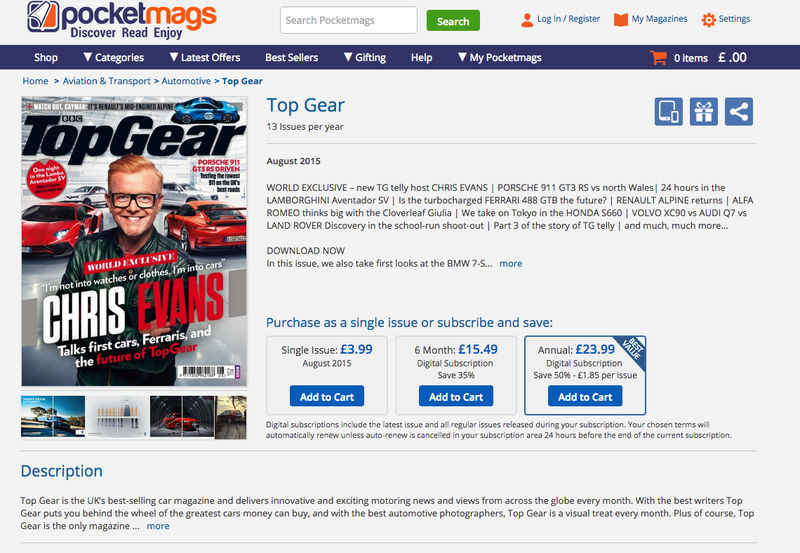 An interesting launch last week, with Sainsbury’s offering its customers digital subscriptions to over 1,000 magazines by partnering with Magazine Cloner to run a feed of the PocketMags site. 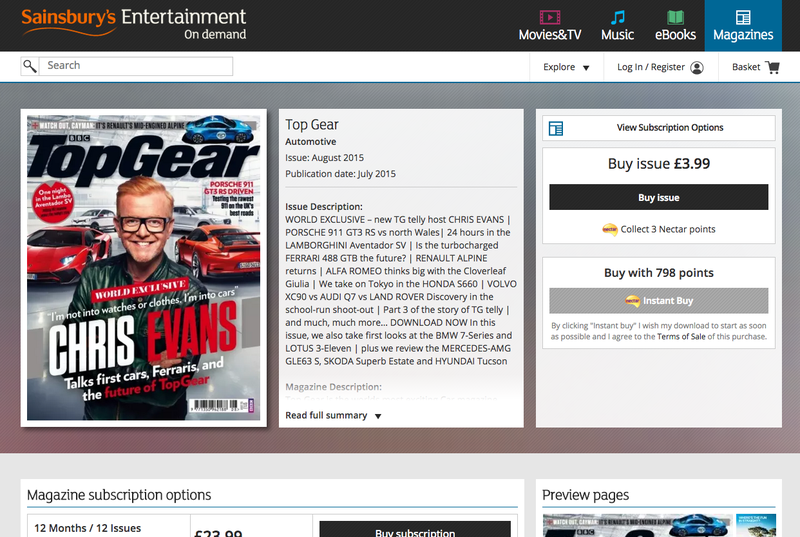 The new site is part of their “Entertainment on Demand” offering that provides movies, music and ebooks as well as magazines. You can see the similarities and the the differences between a title page below.